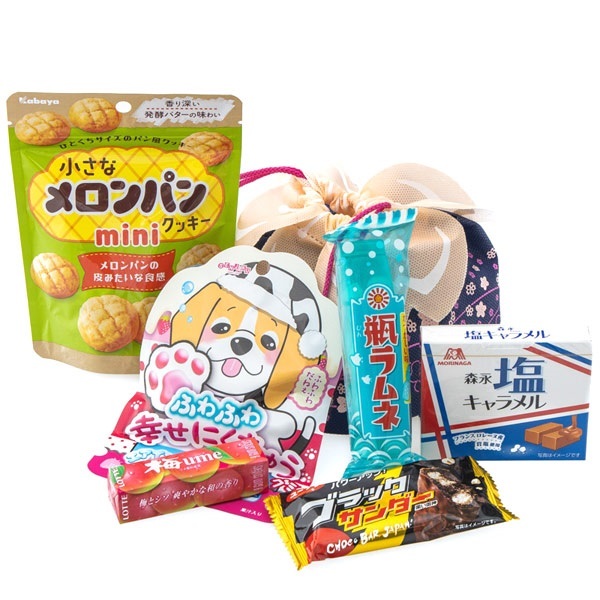 There's never enough ways to treat yourself and others this Easter, so together with the Easter Bunny we've gathered some recommended Japanese sweets together in this free Easter snack set*. A colourful bundle of fruity Japanese candy and crunchy chocolate biscuit snacks blooming from an adorable sakura cherry blossom gift bag. Unfortunately, this gift has now sold out. This snack set wonderfully adds to the great selection of colourful springtime snacks we have this Easter. Why not also shop from our wonderful range of charming, limited edition treats and exclusive share bags? A joy to pass around and really spruce up Easter this year. Offer valid Monday 8 April until Sunday 14 April 2019 11:59pm or until stocks last. No other promo codes can be used with the same order. Limit one free gift per order. This offer is available only while stocks last. Minimum spend totals exclude delivery charge and other packaging fees. Gift above may differ depending on stock. Excludes E-gift cards and events. Promo code must be entered and the 'apply' button pressed to receive a free gift. When entered and applied correctly, the promo code will register a free gift on the order confirmation page in the items list. If any problems are experienced, contact us at enquiry@japancentre.com with your order number before dispatch. Orders cannot be amended after dispatch. No compensation or alternative will be provided retroactively if stocks run out or promo codes are not applied.